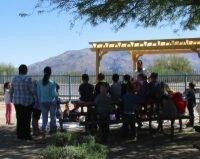 The Outdoor Retreat is a continually evolving area dedicated to the children and families of Mesquite Community Programs and Mesquite Elementary School. 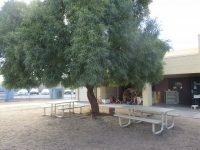 In 2015 we initiated an annual tradition of participating in Tucson’s United Way Days of Caring in order to work with the community to develop our outdoor area. 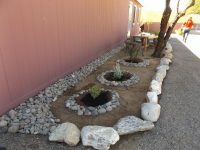 In 2015, volunteers, children and staff built our pergola and zen garden, and created our butterfly/hummingbird garden with plants donated by Mesquite Valley Growers. 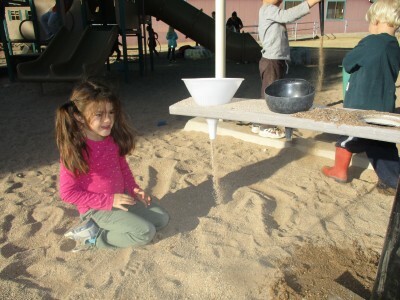 That year Ms. Daisy’s class created a rock maze, and we added a wooden bridge over our dry river. 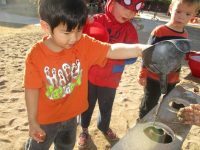 In 2016, amazing staff from Caterpillar joined children, families and staff, creating our spectacular outdoor musical instrument and revitalizing our covered patios. 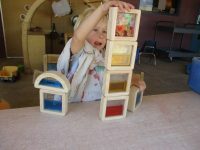 Throughout the year, new areas have evolved, such as a child-created parking garage. A new bridge, and a funnel stand, were built for us by the Construction Trades Class at Cienega High School. 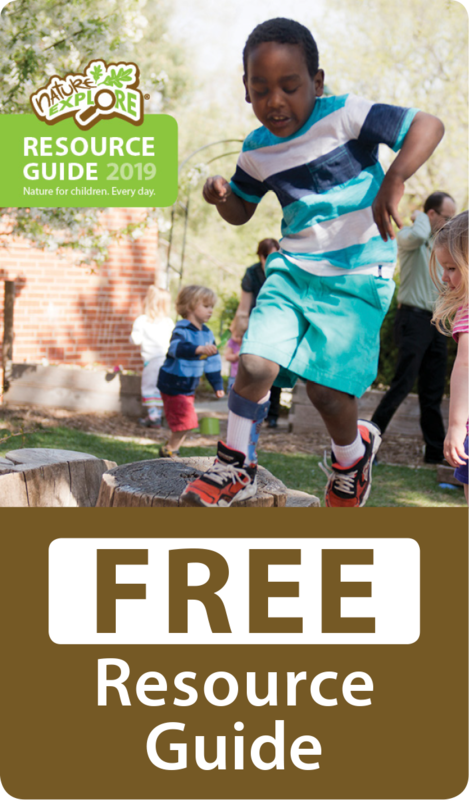 The children have been delighted with superior materials from Nature Explore, including the water blocks, seed pods, magnifying glasses, specimen viewers, dancing scarves, chutes and balls, and more. New improvements are around the corner, as we plan for the Fall 2017 United Way Days of Caring. 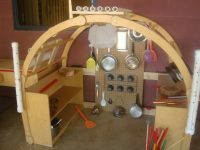 We will be adding wooden signs and rejuvenating our raised garden beds. 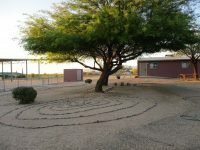 We are continually partnering with the community to grow our amazing Outdoor Retreat at Mesquite Community Programs!